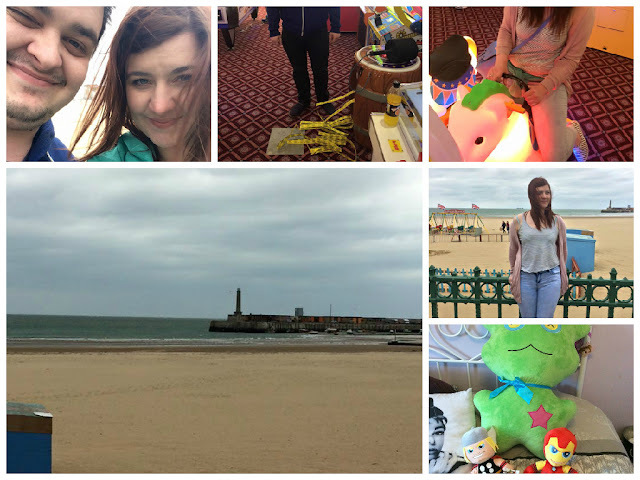 Yesterday Dan and I decided to get out of the house even though the weather wasn’t great and go to Margate to spend a day being big kids and playing at the arcades. If I’m being honest there isn’t really any other reasons I would want to go to Margate but the arcades are definitely worth it. As I knew it was cloudy a bit cold I went for a comfy outfit. It must have been mine and Dan’s lucky day, the first game we tried out is like one of those strength games where you have to hit the hammer as hard as you can buy this game has a twist, you can’t hit the hammer too soft or too hard. If you hit it perfectly you win 500 tickets (in case you didn’t know the tickets go toward prizes and you need a lot to get anything good). I went first laughing as I knew I wouldn’t be manage it but lo and behold I hit it just right and won the 500 tickets tickets. It got even better as a bewildered Dan took the hammer and hit a perfect score winning us another 500 tickets. 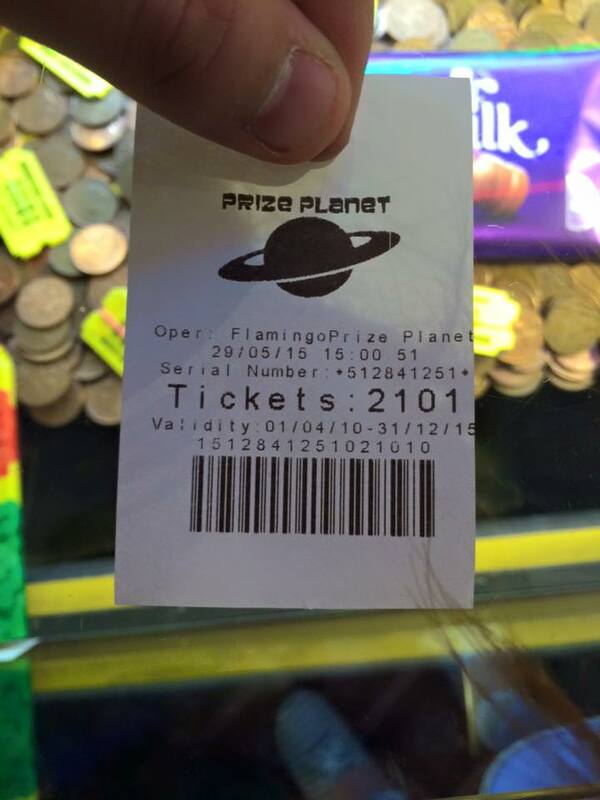 This happened two more times meaning we won a total of 2000 tickets on this one game. 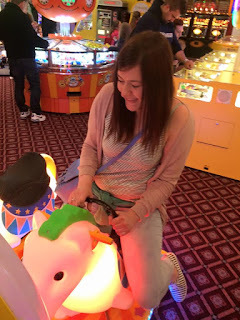 Hardly believing our luck we went on to play the other games in the arcades, which included me riding a fake pony in a race, a game I’m pretty sure was for people a quarter of my age but I didn’t care I was having too much fun. 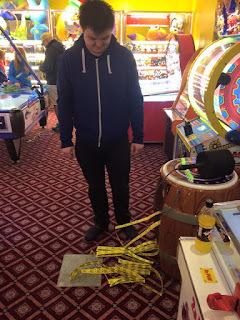 We then went on to the claw machines, the machines where you use a metal claw to grab a prize. 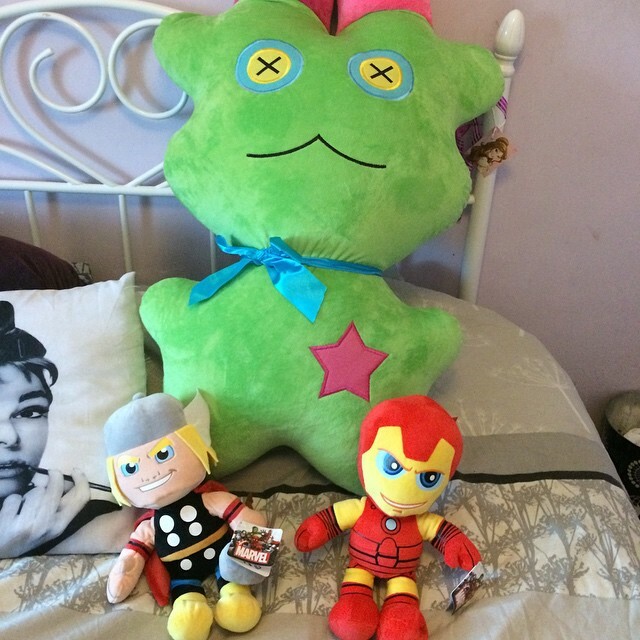 Those games which everyone knows you can’t win but play anyway but I spotted a Thor cuddly toy and had to have it. After a few tries, Dan won not only the Thor but the Iron Man for himself too. 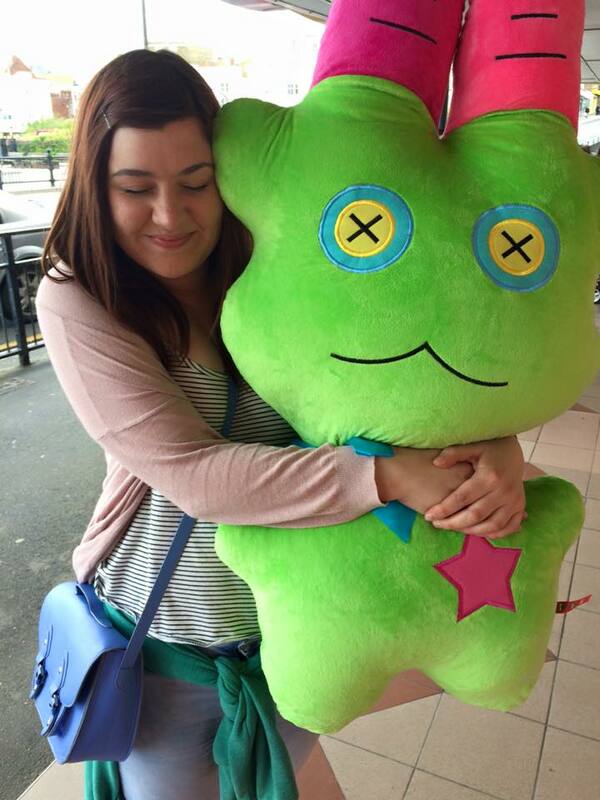 We spent a little while playing on the arcades and just generally being silly before cashing in our tickets and buying a very large cuddly monster who we have now christened Egbert. I can tell you it was very embarrassing carrying him around and I got a lot of funny looks and pointing. 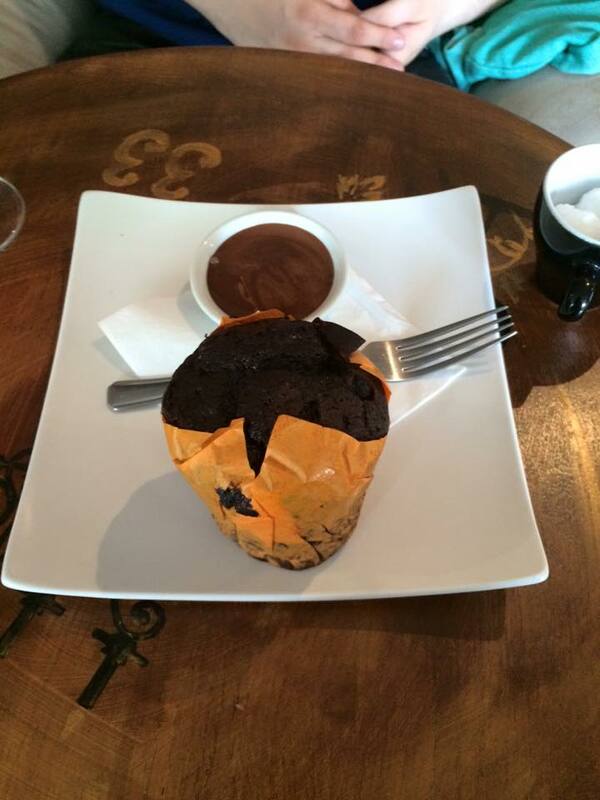 When we were back in Canterbury Dan and I stopped off at the Chocolate Cafe, which I did a post about recently. 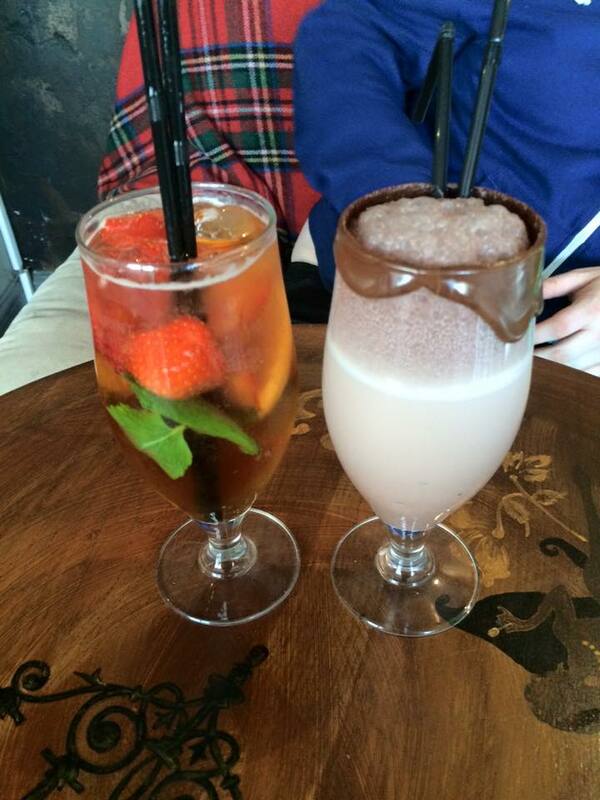 For drinks Dan opted for a chocolate ice cream shake and I had a Pimms with orange, mint leaves and strawberries in. Dan is addicted to the Chocolate Cafe milkshakes so he was obviously pleased and my Pimms was absolutely amazing, so refreshing. For food Dan went for his favourite again and got a chocolate orange muffin which are so tasty and I went for the new Crepes the Chocolate cafe have now added to their menu. Italian cremosito crepes with ice coffee cream. 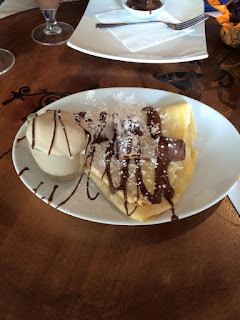 The crepes came filled with Belgian chocolate with little pieces of Kinder Bueno on top and on the side was a little dish of coffee flavoured ice cream. They were amazing so chocolatey (that probably isn't a word but I'm now making it one) but without being too sickly. 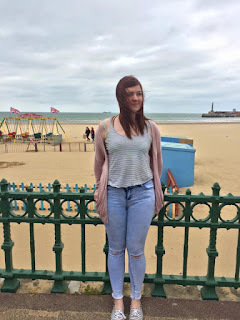 All in all I had a lovely day I know this may seem like a random day out to share with you but I had so much fun and it was great just to relax. I guess the point of the post is that as adults (still sounds strange when I refer to myself as that) with all our stresses and responsibilities it’s good to just have a day to be a kid again and just to be silly and have fun. I hope you enjoyed this post. Do you like going to the arcades? Have you had a fun day out recently? I’d love to hear about it so please leave me a comment.